We take pride In being the best retail and service shop in San Francisco. We take the time to explain and outfit you for the best experience possible with our quality bikes. 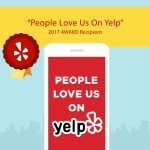 Don’t ask us – jump on Yelp or Facebook or Google or read a few below! I am attaching a pre-ascent picture from the beach. Funny story, the ritual is to dip one of the wheels in the water before ascending, so I did that only to be caught by an incoming wave which soaked me up to my knees. I was able to lift up the bike high enough so it wouldn’t get wet but had to climb up with salty-wet shoes and socks! –via email from Daniel M.
Here’s a picture with our two passengers, we’ve taken in out with the temps in the upper 20’s and they’re totally happy inside the cover with a couple blankets. Amazing! Urban Arrow goes to Vermont, via email from Sam P.
This place is Amazing if you are a bicycle enthusiast such as I. Kash was Super informative and extremely knowable, great wide selection of bicycles, from commuter, cargo, Ebike etc… Highly recommend you stop by. Need a bike shop to call home? Look no further than Warm Planet! The shop owner went above and beyond the call of duty for me and my bike, An awesome first encounter! These guys are consistently the best in the business. I have all my repairs done at a very reasonable rate. They don’t overcharge like REI. Kash is an amazing source of knowledge on biking. I got my first clips from him and learnt how do it properly with him. He’s a solid guy. Ted is a first class bike engineer. Guaranteed that you’ll get good service and love for your bike. They’re a local business and I love supporting them. My family had planned a two week trip to San Francisco and we wanted to use folding bikes to explore the city. I surfed bike shops around SOMA and was lucky to get in contact with Kash at Warm Planet (Marked Street) which was the only one who took time to answer my questions thouroghly. The morning after we arrived to SF we were by the doorknob at eight sharp and Kash offered us such great personal service that just little a later we were back on the street with brand new Dahons. For the next two weeks the bikes were our main travel companions and we found it rather easy to get around the city especially due to the bikes’ many perks. At the end of our stay Warm Planet packed the bikes for our flight home to Iceland free of charge and even delivered them to our apartment in the neighbourhood. Our vacation was both relaxing and enjoyable thanks to Kash and his coworkers. Great place!!! They repair all of TL stations bikes!! Super friendly and great selection!!! Hands down, best place in the city for folding bike consideration. Talk To Kash the owner, he is there in the morning to lunchtime, then back again at 4, and Ted the technician is there most of the day. I absolutely love his store. The owner (if he’s not, he definitely acts like one) cares about delivering world-class customer service and equally amazing quality products. The prices of the bikes are extremely reasonable. What I love the most too is – they open at 8 am!!! I can stop by before work to get stuff!! I have bought 2 bikes from Warm Planet, and I am a huge fan of folding bikes. My wife was thinking about getting one for her commute, and we went to go test drives bikes on Saturday afternoon. The shop was busy but the staff was able to give warm, individual attention to each person and answer the endless questions about how they work, what the differences are, etc. Much to my surprise, she fell in love with a green Appletini Dahon, and she bit the bullet & bought it on the spot. She’s been riding it non stop ever since. It’s great to see her joy & enthusiasm, and I can’t recommend this shop enough. Awesome service, super nice guys, and fixed my bike for 1/7th of the price that the neighbor quoted. Really friendly service at 8:30am when every other bike shop is closed. Kept having some issues with a repeated flat in the same wheel. I was at my last leg with figuring it out. Warm Planet was able to diagnose the issue and change my flat in just a few minutes, and I was able to ride in to work without being too late! I went in looking for a folding bicycle; they asked carefully about my needs, and I test-rode quite a number of them. The range is the best I’ve seen for foldies. Overall, great service. Bike shop with the best vibe in town. Just picked up my first bike here today and i love it! the have great customer service and patiently explained the details of their bikes. Great selection of folding bikes.